If you’re looking for true romance this year, ditch the white sandy beaches and aquamarine waters of Seychelles, forget the sunset overlooking the Caldera in Santorini, leave behind the wine bars of Paris’ 2nd arrondissement; wrap up warm and head to the cold, dark and icy region of Scandinavia for something truly magical. A journey to Scandinavia is a trip back in time and the spectacular winter landscapes will leave you wanting more. There really is no place quite like Scandinavia, home to some of the most romantic places in the world. If you’re planning on booking a fairytale winter holiday, take a look at these awe-inspiring destinations in the spectacular cultural region of Scandinavia. The Blue Lagoon spa is truly one of the most romantic places in the world. This scenically breathtaking geothermal spa is a natural source of warm spring water, and is relaxing and soothing for the body and to the soul. Relax in the natural springs, take a gentle swim around the baths, or dive to the bottom to retrieve the natural mud which is said to do wonders for the skin. 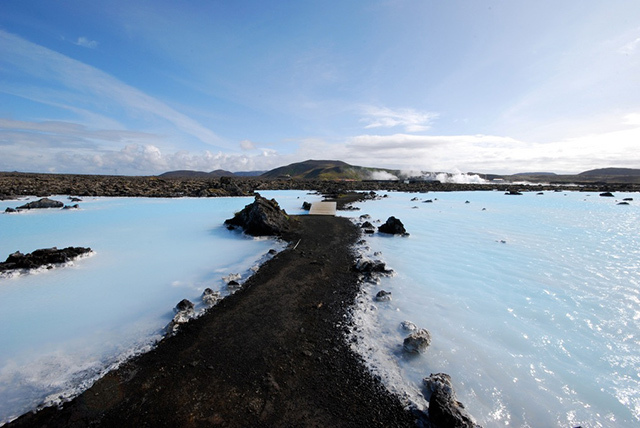 The Blue Lagoon is near Grindavik Airport so makes the perfect honeymoon pit stop on your way back from the beautiful city of Reykjavik, or is ideal for a daytrip. Remember that the spa can get busy in the afternoons, so make sure you head out in the early morning to catch a moment of undisturbed quiet with your loved one. Watch this video on the Blue Lagoon in Iceland. 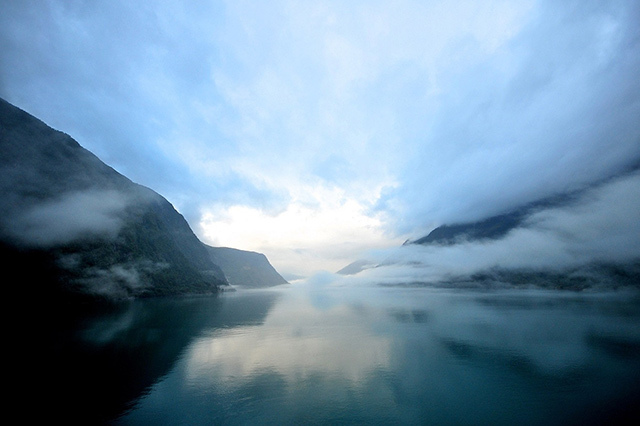 For a flavour of northern Europe, Norway is a fantastic destination. With the carved valley ways of Lysefjord, Hardangerfjord and Sognefjord, the dramatic glacial landscape is something that you just can’t find anywhere else in the world. A tour of the Norwegian fjords, followed by a curling up in front of a fire in a log cabin, can be the perfect honeymoon experience for couples who are fans of a winter wonderland, and there are many tour operators who can create unforgettable tour packages to make your stay as wonderful as possible. Visit Hurtigruten for more info on winter tours and voyages in Norway. If the sleepy city of Reykjavik doesn’t romance you, try heading out into the wilderness for something really magical. Disko Bay is in the Northwest of Greenland and gives travellers a mind-blowing Arctic experience: ride a dog sledge, discover icebergs and fjords and hike across a barren winter landscape. 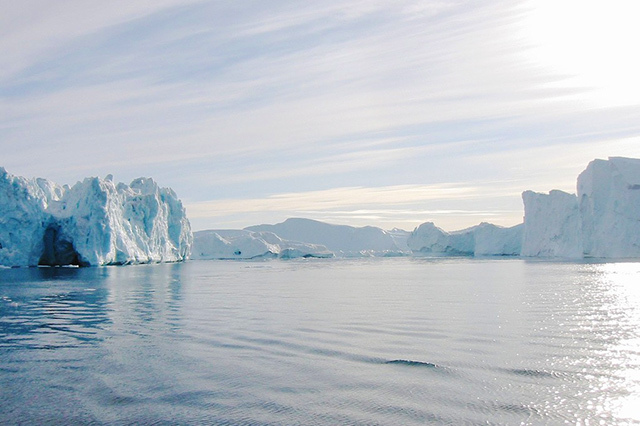 Disko Bay is a surreal part of the world which winter travellers will love and find truly unforgettable.